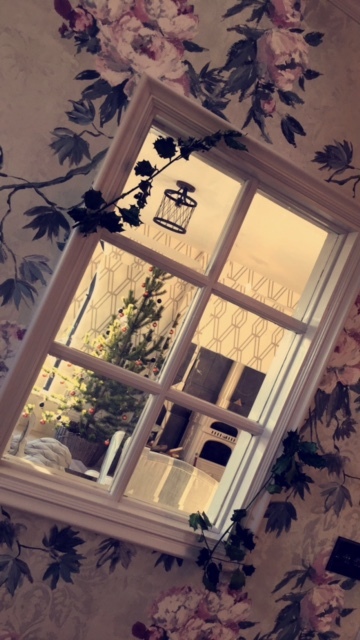 Only 6 days to Christmas eeekk.. as you probably can tell by now I love Christmas and everything about it.. as part of my 12 Days of Christmas I focus on Embracing Hygge as well as also trying to get more creative myself. 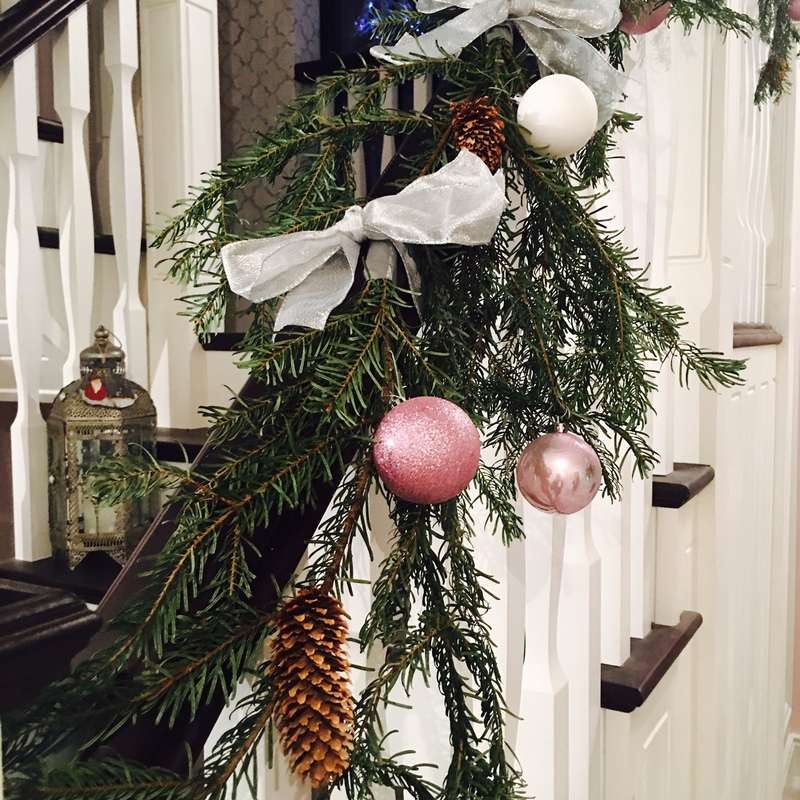 So this is exactly what I tried to embrace in Day 6, putting my Festive Flair to action and creating my own festive finishing touches. 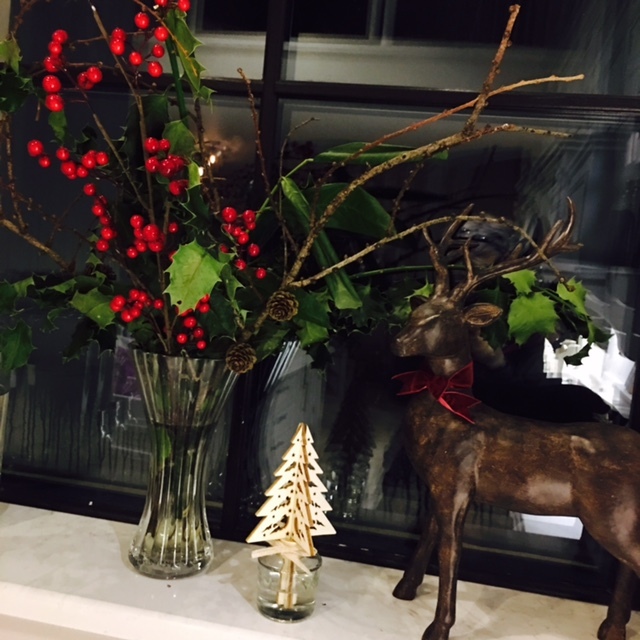 Rather than buying more decorations for my home I have picked some foliage, acrons and pinecones from around my home and garden and used this to add an extra ‘Festive Flair’ to my home. I had some left over baubles from my tree so it was a pity to waste them and added them too. 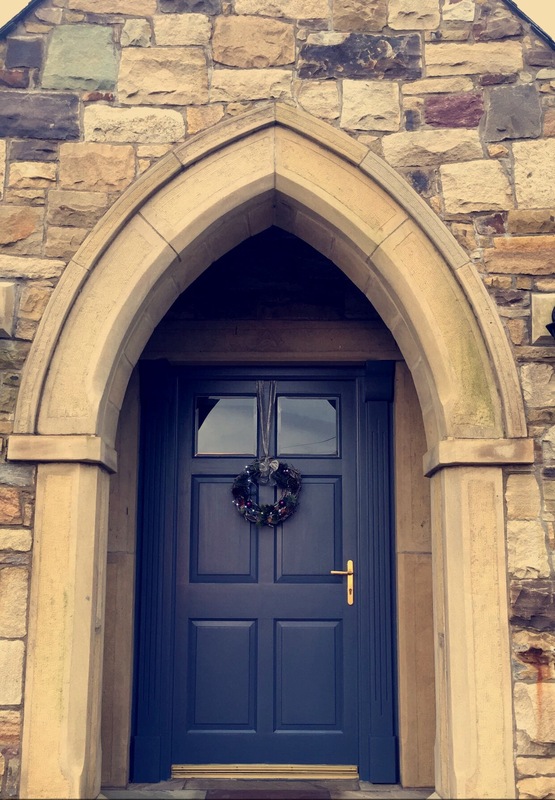 The only items I purchased was a plain wreath from Lidal at £9.99, I picked up some bits of ribbon and bow in Home Bargains at 79p a roll (bargain). 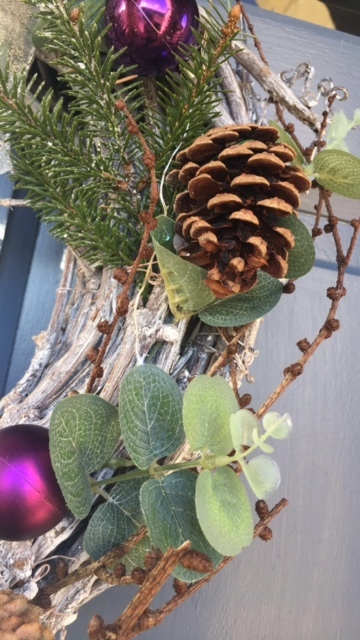 Some wire pieces to tie the baubles, which I picked up in the florists and finally a glue gun to stick the acorns and pinecones . A glue gun is a good investment and this little one I picked this up online at Cromwell’s and only cost £16.99. I typically don’t spend time making things and don’t claim to be any expert but you can achieve something unique for your home with little cost. 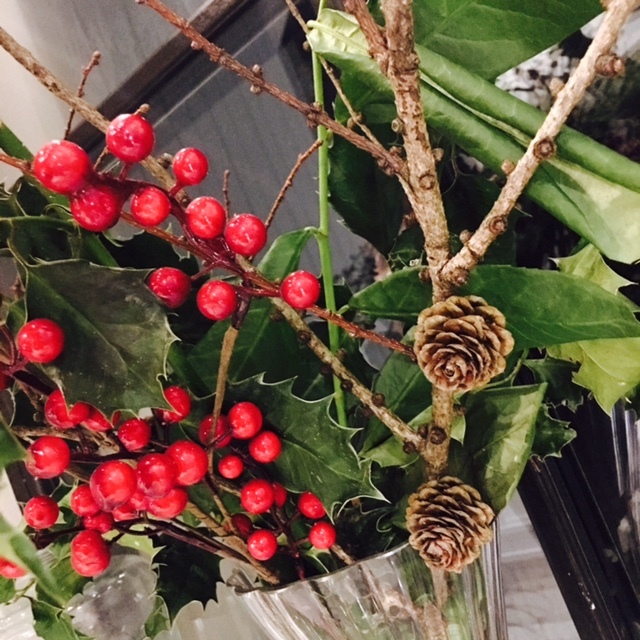 Simply go on the hunt around your garden, add some simple Christmas accessories and there you have it, quite easy and very satisfying. I can’t take full credit for my Festive Flair creations, as my mum and sister played a part, just to mention. That said I am very pleased with the way they worked out and I fell they certainly add a nice finishing touch. 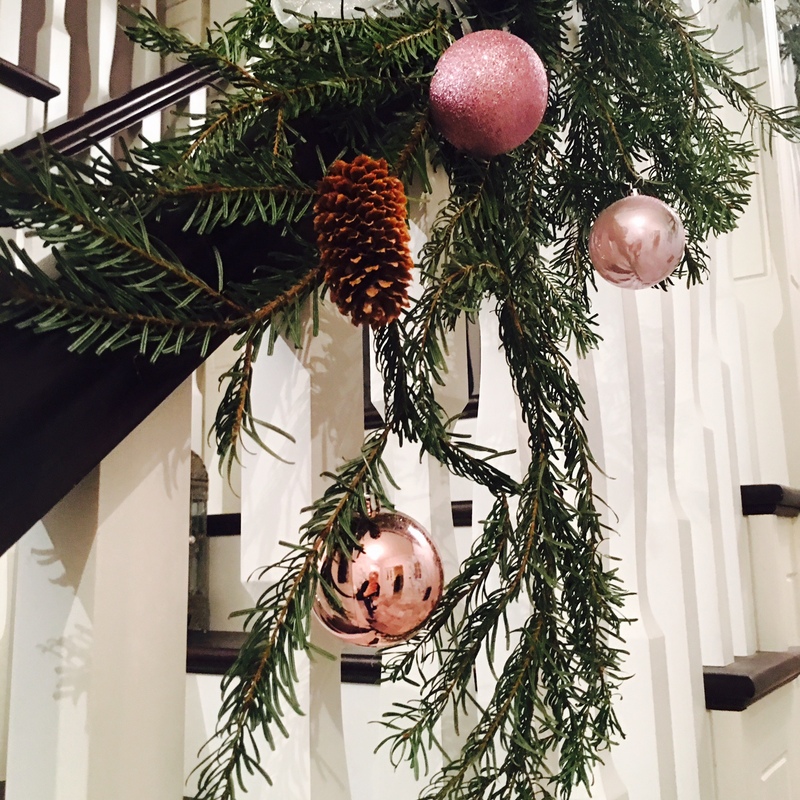 This helps being some festive touch to the hallway and I have used some of my leftover baubles from the tree in this area, so it all match the décor. 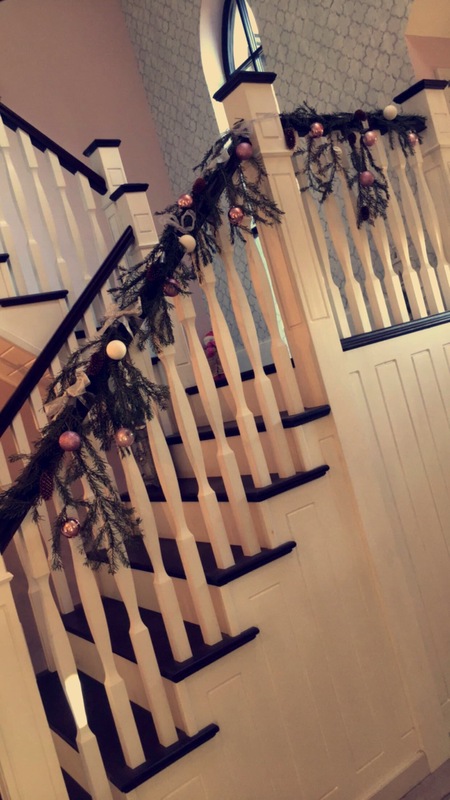 How To: The branches are kept together with tape and the tape is then covered with ribbon, the ribbon also acts as a hold to the stairs, as it is tied tightly. 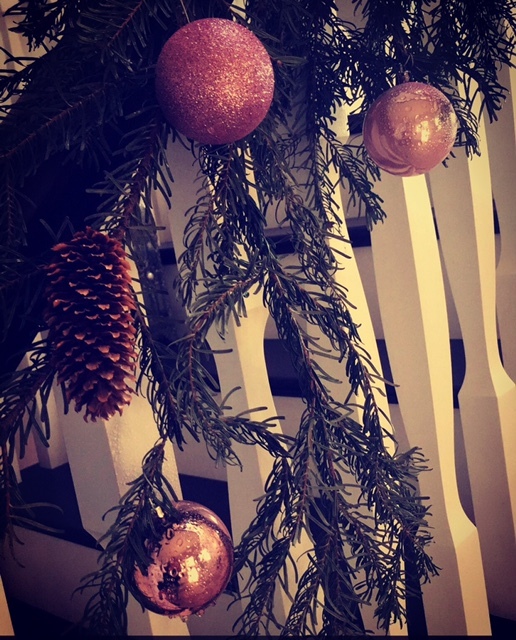 Baubles are secured on with wire and the acorns/pinecones are glued on. Simple as that. This adds a lovely festive welcome to any home. Only one thing, I could have made it slight bigger…I will know for next year. 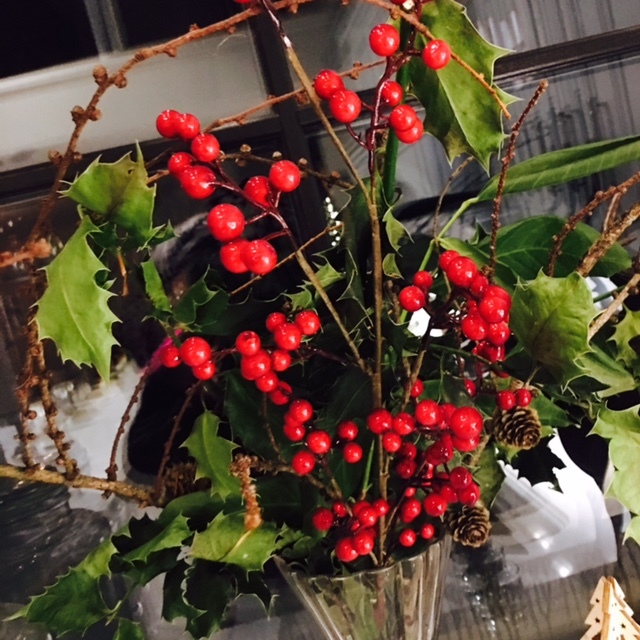 How To: Left over holly and berries paired with some of the lovely brown acorns, just simply placed in a vase. These are all from the garden and our forest. I loved the rawness of this. How To: This is my mum’s masterpiece, she created this using a spray tie with a handle, with a piece of oasis (wet foam), so to keep things living longer. 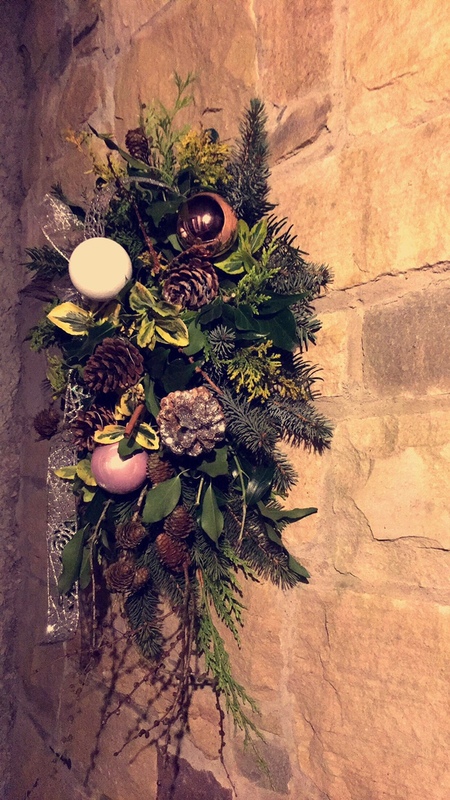 Then the base was used to add the foliage, acorns and baubles using the oasis to secure them in tightly. 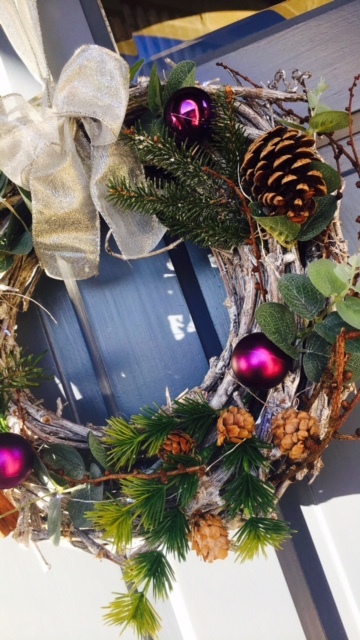 It is finished with a piece of decorative ribbon and then hung outside, creating a lovely festive welcome.